The WSOP Ladies World Championship was a true female affair this year. In past years men would snake their way into the tournament but this year the WSOP had a way to keep them away. The buy-in was raised to $10,000 and all female participants would receive a 90% discount while any male would have to pay the full $10,000 buy-in. This years field had 954 women all trying to take home a WSOP bracelet and be considered the best female poker player in the world. Kristen Bicknell outlasted the entire field to win the first place prize of $173,922 as well as bragging rights for the entire year. One interesting note about Bicknell is that she is a Supernova Elite on PokerStars and is a coach for UltimateGrinders.com. She also has over $250,000 in online poker tournament wins which makes her one of the best female online poker players. 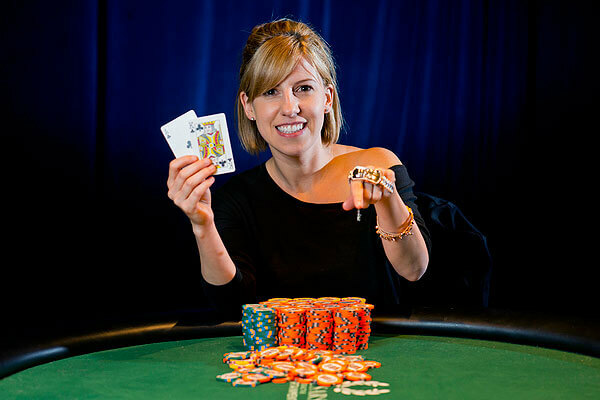 Bicknell along with winning the 2013 Ladies World Championship she also gave Canada its 10th championship of this years WSOP. It is the most of any non-american country. The WSOP Main Event is the next event that Bicknell will enter and she will vie to become the first women to make it to the final table since Barbara Enright did it in 1995.